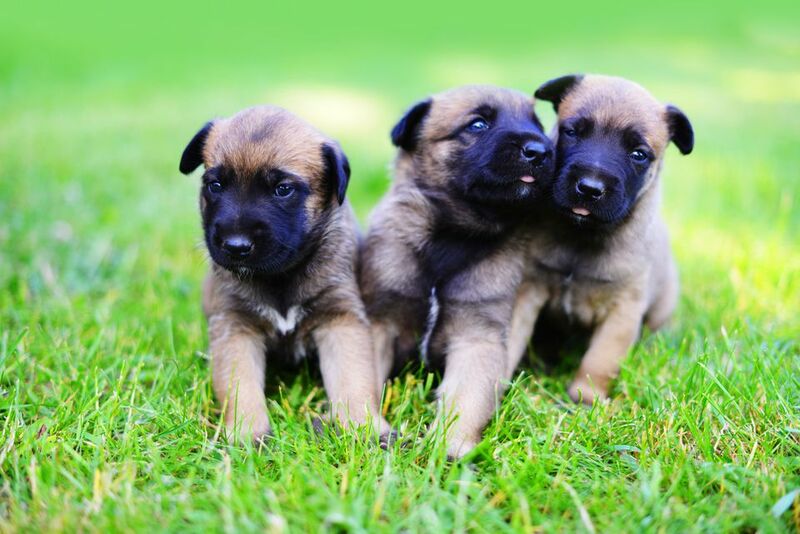 The Belgian Malinois is related to both the Belgian Tervuren and Belgian Sheepdog and is the short coated version of these sheepherding canines. The breeds are so closely related that it's not unusual to have a long-coated puppy in a litter of other short-coated puppies. As an adult, the Malinois looks like a medium size, short-coated light colored German Shepherd, and the typical rich fawn to mahogany coat color is combined with black ears and a black mask that covers the face. This is a confident intelligent dog, reserved with strangers but affectionate and protective with his own people. He is easily trained and does best when given a job to do. The breed's versatility, stamina, trainability and eagerness to work make him an ideal candidate for working with the police and the military. However, the Belgian Malinois also can be a wonderful companion dog in families able to meet his exercise and energetic needs. And they are very high energy and can be driven. As with other shepherd breeds, the Malinois may be unable to curb the urge to chase. They like to chase cars, and joggers and bikers may become targets. They may try to herd children by nipping at their feet. Some say "clingy" is an understatement. Mary Hogan describes the Malinois Head Stand she's seen first hand and heard described by The Dog Snobs breed profiles. Mary says, "The dogs want to have so much bodily contact with their owners, they try to stuff themselves into their owners and end up standing on their heads with their body in the air. They practically want to crawl into their owner's skin." For a dog that weighs up to 80 pounds, that may be a consideration!